We facilitate extreme make-overs of orphanages, shelters, safe-houses, impoverished schools and marginalized ECD centres. There is a huge need for maintenance and upgrades in these facilities as budgets barely cover their basic living costs. Newkidz with the help of corporate and private sponsors facilitate these make-overs so that these children can live and learn in a safe and secure environment with dignity. You can get involved by filling out your details here so that when the next make-over happens, we can let you know! “SECONDS COUNT” – We collect and redistribute donations of all kinds, eg. clothing, bedding, furniture, kitchen appliance and utensils as well as toys and books, to help make their lives a little easier and more enjoyable. You can get involved by donating any clothing, shoes etc of any age, male or female!! Brick a brac ( cutlery, crockery, ornaments etc), furniture – practically anything that is in good condition ( gently used) that can either be used or sold at our shop. Become a Newkidz activist or volunteer at a makeover project. Share your skills to help with operations and initiatives. Adopt an Orphan and make a massive difference in the life of a child. Lewis is proud to be associated with an organisation that does such outstanding work in the community. LOVE YOUR WORK!!!! WELL DONE. Keep us posted on new projects please. I applaud you and your dedicated team for going beyond existing borders to enlighten the lives of others! Thank YOU guys – you are really head and shoulders above any other offering out there in the market and I foresee doing much more projects with you in the future. Thank you very much for your professionalism and willing spirit. I am looking forward to working with you again in future. Thank you once again for the work you do, making it possible for Companies like us to trust you in donating the stock to those in need. Thank you very much for giving me the opportunity to be part of this program. I found it fulfilling and honestly quite life-changing! I would love to be included in any further projects! We love to be part, of all your wonderful projects, thank you for involving us to something so important to you!! Thank you for everything you done, to help others. A great day all round. Thank you again to you and your team for a well organized day. It pleases us, beyond words, to associate with a worthy cause as well as to be (in our small way) part of a team who GO THE DISTANCE. Very little “talk”, lots of “do”! Wow what an awesome experience to be part of the makeover! Thank you for giving us this opportunity to try and make a difference in people’s lives. I could see that they really appreciate it. If there are future projects please don’t hesitate to contact me. It has been an immense pleasure working with you on yet another mammoth Extreme Makeover. We congratulate you for successfully pulling off such a massive task in just 3 days! The experience was amazing, I found so much pleasure in knowing that my small contribution counted. I commend you on starting the project in the first place. This was my first time ever that I was involved in such a volunteer project and I truly enjoyed myself. Definitely something I see myself doing again, so please do not hesitate to contact me should you need some volunteer assistance again. I surely hope we will be granted another opportunity to work together on a future project. It is an absolute pleasure working with you and the Newkidz group as well Hilda. We are extremely please and grateful at the opportunity to work in our communities. The immediate reward just seeing the look on some faces is awesome! WOW! You guys rock! God is really blessing us in abundance. I must admit, we are all very emotional due to all the support. Thank you all for making this wish come true! On behalf of Bethesda’s staff & children we thank you greatly for being part of our vision to provide holistic, compassionate and sustainable care that improves quality of life. Thank you for making a difference to the ones who matter the most…… Our future. I can confirm that their events are always well co-ordinated and you will feel like you have made a small difference when you are only able to give a few hours of your time to such an initiative. Thanks again for all your help and I’m also looking forward to a new adventure with you guys! It was our pleasure to work with such a passionate group of people. We look forward to completing our report and getting it to you. I think it is us who have give you the plaudits for the initiative take to launch this project and to assist us in waking up the people in the communities who perhaps don’t even know that we exist or what we do. All thanks to you and your staff for the excellent work that you do to give all children’s homes the exposure we so desperately need!!! We are so thankful and so proud of you all at Newkidz for making such a big success of this event and for walking the extra mile for all the children who needs that extra bit of love and care from other people! Thank you for always including us, it is truly appreciated! 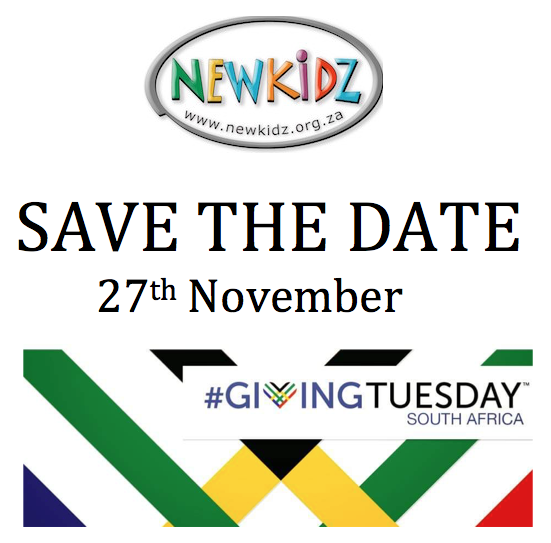 I love my association with Newkidz and all the stand for. My kids thoroughly enjoyed themselves and will certainly help out again. Keep up the great work. Thank you so much for the lovely Certificate of Appreciation!I hope you presented yourself with one too for all the amazing work you do! Thank you!! Kyle thoroughly enjoyed his time at Newkidz and I am sure you will be seeing him again in the future. Thank you for your note. I value that. I am a great fan of what you guys do and I wish you the very best for the future. Praying for your success. Thank you so much for your efforts and those of your team! Thank you so much for making this possible! Each of my children received a brand new gift! They were elated!!! Each of my volunteers said that the experience was amazing! Thank you so much for the opportunity! Thank you for caring enough to give! Thank you so much for the opportunity to have been a part of the Mandela day campaign. I handed out the presents to our younger kiddies yesterday and they were so happy. I am planning on handing out the older kids’ presents as soon as we get the rest. We are filled with excitement and thrills with the new face lift to our facility. Our kids are no more learning in a cold Wendy structure. The learning rooms are spacious and conducive to effective learning and child development. The staff and parents hearts are filled with pride. Thank you so much for the last weekend and for the wonderful renovation that took place, we sincerely appreciate it. Just to let you know we currently have about 15 soup kitchens under our wings with the help of Newkidz on the Block. What a blessing. I can assure you that the management and staff at Edge consider ourselves blessed and honoured to be able to contribute to the great work that you guys are doing. Just to let you know that we currently have about 15 soup kitchens under our wing. 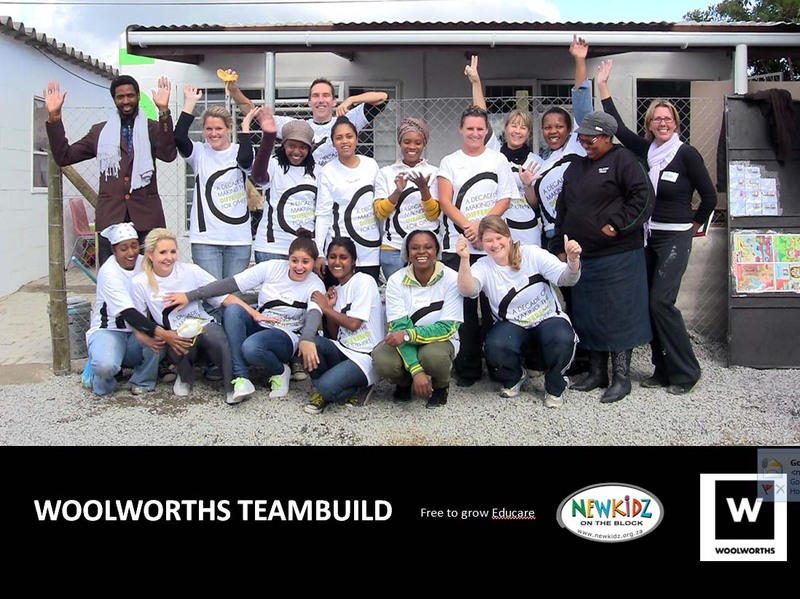 With the help of Newidz on the Block we can support them, what a blessing. I know the donation from Ackermans is only a drop in the bucket, but we will keep on giving. Namens Joostenberg Primêr wil ek baie dankie sê aan al die persone en u maatskappy vir die donasies aan ons skool. Dit word opreg waardeer en aangewend vir die leer van ons kinders en die verfraaiing van ons skool. Baie dankie, mag God u en u besigheid seën.